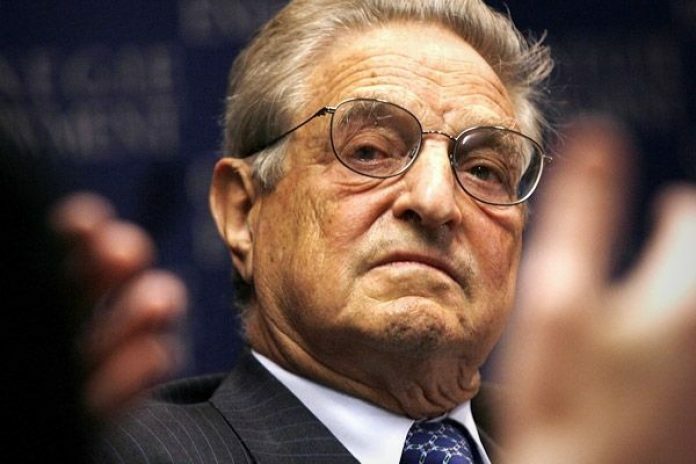 A new initiative was launched in Macedonia on Tuesday to examine the activities of the George Soros funded Open Society Foundations. ‘Stop Operation Soros’ (SOS) is dedicated to countering the influence of the billionaire globalist George Soros. The founders of the group called on all “free-minded citizens,” regardless of ethnicity or religion, to join them in their “fight against one-mindedness in the civil sector, which is devised and led by George Soros”, during a press conference. The movement says it will begin by focusing on uncovering ‘subversive’ activities by Soros-funded NGOs. According to Nikola Srbov, a columnist for pro-government news portal Kurir and co-founder of SOS, Soros-funded NGOs have monopolized civil society in Macedonia and used their position to suppress dissenting views. “We’ve witnessed the takeover of the entire civil sector and its abuse and instrumentalization to meet the goals of one political party. That is unacceptable and goes beyond the principles of civic organizing,” Srbov said at the press conference. “The Open Society Foundation, operating under the Soros umbrella, used its funding and personnel to support violent processes in Macedonia. It has monopolized the civil society sector, pushing outside any organization which disagrees with the Soros ideology,” he stated. Another co-founder, Cvetin Cilimanov, editor-in-chief of the state-run MIA news agency, accused Soros’s Open Society Foundations of undermining Macedonian sovereignty by working not only with the opposition center-left SDSM party, but also with outside interests. By cooperating with foreign embassies and organizations such as USAID, Cilimanov believes Soros-backed groups have interfered in the political process of Macedonia. “This is unacceptable and has largely contributed to a feeling in the public that the traditional relations of partnership Macedonia enjoyed with some countries are being undermined,” Cilimanov told journalists. A third founder of the initiative and editor-in-chief of the Republika news portal, Nenad Mircevski, declared that the group would work towards the “de-Soros-ization” of Macedonia, echoing a speech made by former prime minister and leader of the ruling VMRO-DPMNE party Nikola Gruevski in December. In the speech, Gruevski accused foreign powers and Soros-backed organizations of meddling in Macedonian politics. Opposition figures have expressed concern at the rhetoric used by Gruevski, fearing the start of a crackdown on dissent and advocacy groups. The Open Society Foundation (OSF) was set up by Hungarian-born Soros between the mid-1980s to early 1990s with the stated aim of helping former Eastern bloc countries transition from communism. 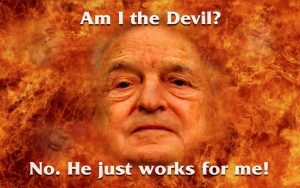 However, aside from its support for progressive causes such as drug policy reform, the OSF has also been involved in political activities and Soros publically supported the violent overthrow of the legitimately-elected government in Ukraine during the ‘Euromaidan’ revolution. This has earned him the ire of Russian authorities, which in 2015 banned Soros and his foundations as a threat to national security. Video: Who does ISIS work for?